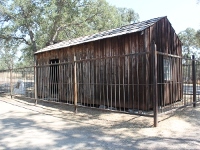 Cabin site is located at the end of Jackass Hill Road, approximately 0.8 miles from Highway 49. 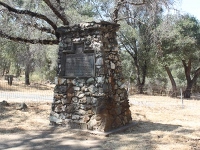 Official State Marker plaques are located on Highway 49 approximately 0.1 miles northwest and southeast of the intersection with Jackass Hill Road. 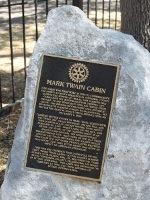 Twain Harte Trail plaque at the cabin site. 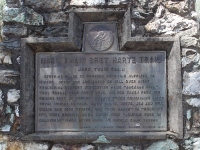 Detail of the Twain Harte Trail plaque. Rotary plaque at the site. 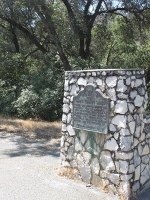 One of 2 official state marker plaques on Highway 49.